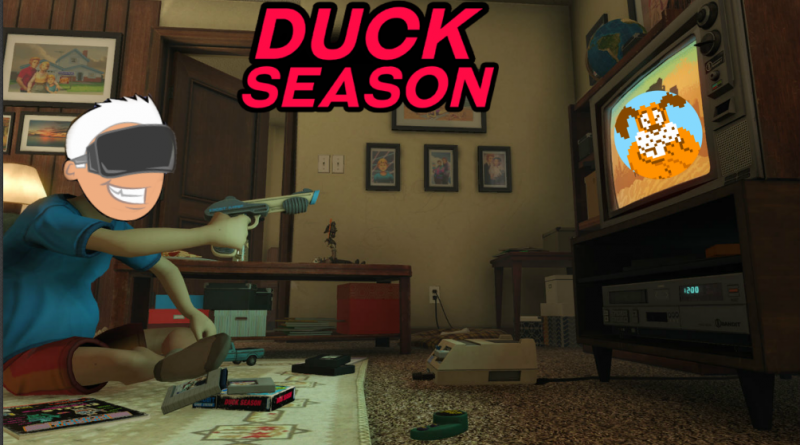 Today I am taking a look at Duck Season from Stress Level Zero and I have got to say that this game has really taken me back… As a child of the 80’s just being in this environment was a complete blast from the past! Stress Level Zero has really done a good job at capturing the look and feel of a typical 1980’s living room in this game. As for the game itself, it is a great recreation of the original Duck Hunt game but with a few twists. There are tons of little Easter eggs in the living room to find and watching the video tapes was quite possibly the best part of the game for me! I do really wish that the player was allowed to explore the rest of the house as I would love to move around and check it all out but it is still a great experience none the less. Duck Season has some replay-ability to it as well since there are 7 different endings but I can see where having to go through the multiple rounds of shooting the ducks might get a bit tedious while trying to unlock them. All I can say is that if you have a Rift or a Vive then I highly recommend giving Duck Season a look!